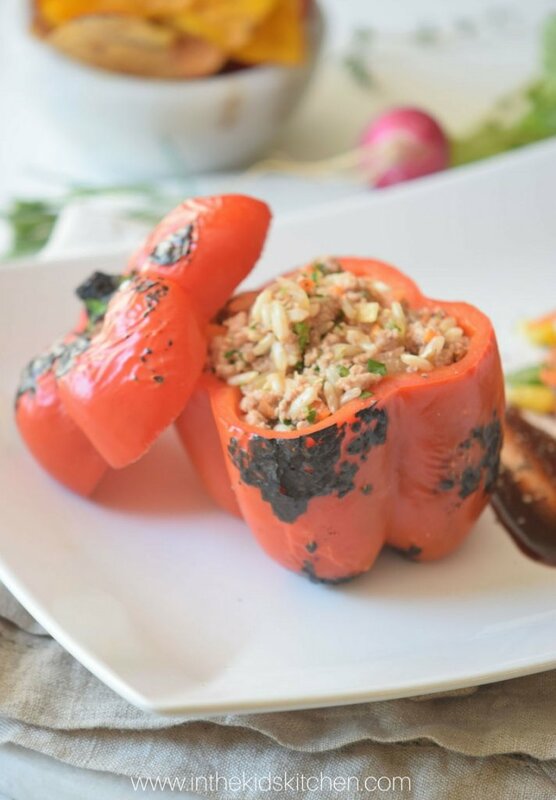 Inside: All the flavors of a holiday dinner wrapped up in a healthy, sweet red bell pepper. 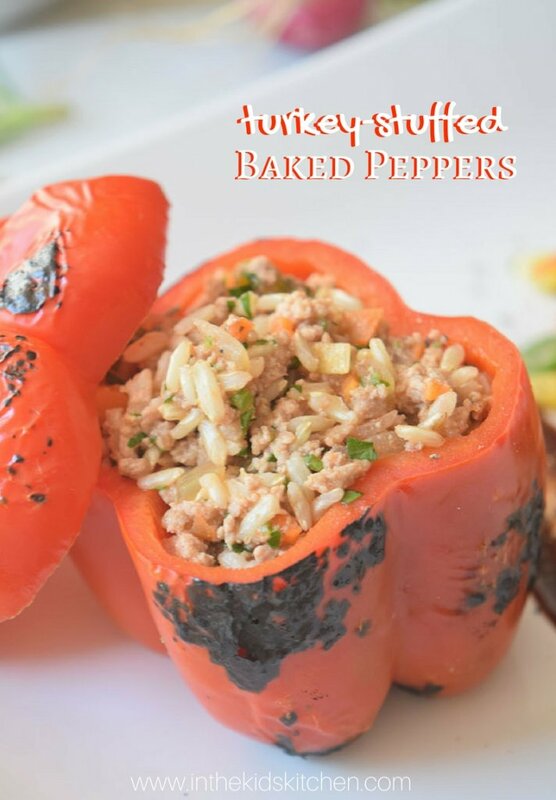 These turkey and rice stuffed peppers are a guilt-free comfort food indulgence! Trying to eat healthy during the holidays can sometimes be full of disappointment, temptation and deprivation – but it doesn’t have to be! Finding delicious substitutions and using all of those delicious flavors in other (healthier) options is a great way to fill treated while sticking to foods you can feel good about eating. 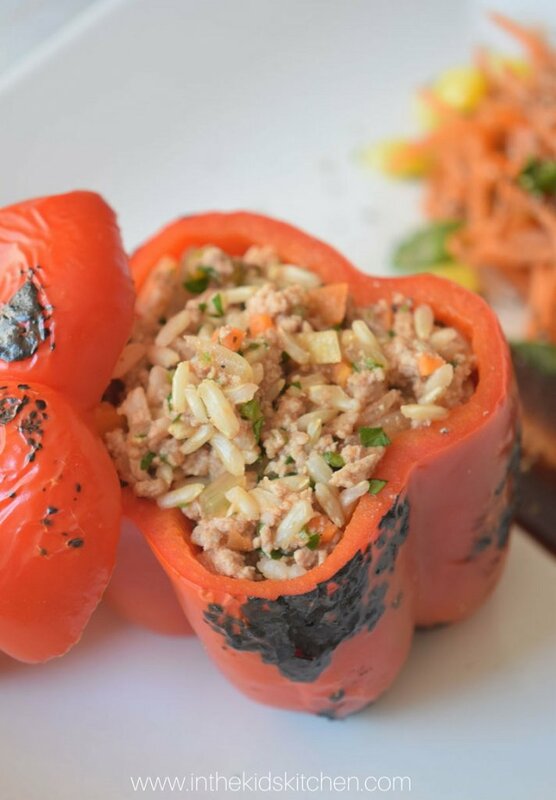 We’ve taken all of our favorite stuffing herbs and spices to flavor our rice, then combined it with lean ground turkey (leftover turkey would work just as well) and stuffed it in bell peppers for a cute edible serving container that helps get in two vegetable servings! Of course, feel free to substitute the herbs we mention here with the ones your favorite stuffing is usually flavored with – that way it will actually remind you of your favorite holiday foods. While I found these stuffed peppers moist and flavorful enough without gravy, if a couple tablespoons will make the meal that much more special and indulgent for you – go for it! A couple tablespoons isn’t going to hurt your health goals especially if it means the difference between this meal hitting the spot or missing the mark. 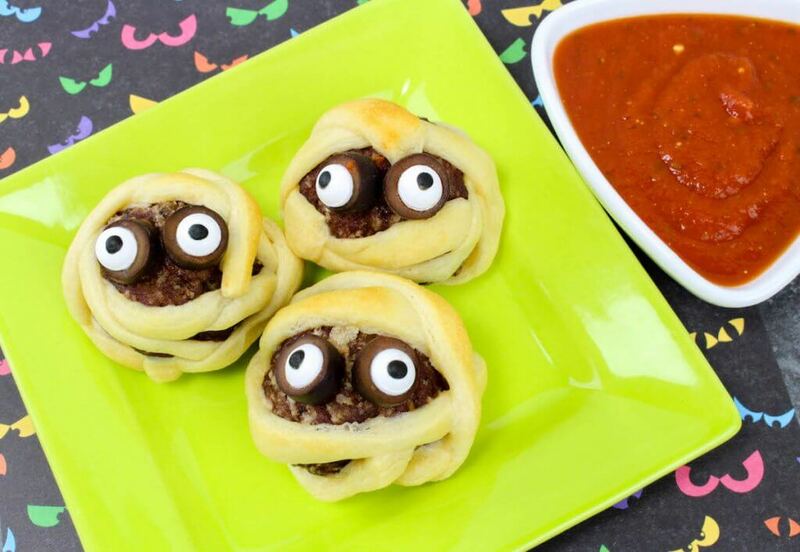 Tip: Swap out your own personal spice preferences for what we suggested here. Wrap bell peppers in aluminum foil and place inside a baking dish. Bake for 25 minutes until peppers soften. In a medium saucepan over medium heat add in the turkey and cook until it turns brown, stirring occasionally. In another small saucepan combine 1 cup of rice to 1 1/2 cups of water and cook until water is absorbed. In a large sauté pan, begin to brown the onion and garlic. Add in the seasonings, tomato sauce, and parsley and stir to combine. Mix in the ground turkey and the rice and remove from heat. Cut the tops of the bell peppers and remove the seeds, leaving them in the baking dish. 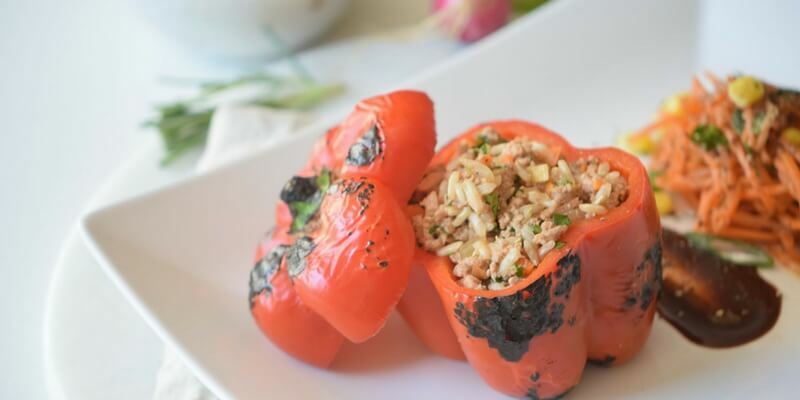 Scoop the turkey and rice mix into the hollowed-out peppers. Return to oven and bake for 15 minutes. What favorite holiday meals or treats would you like to see us give a healthy make-over? 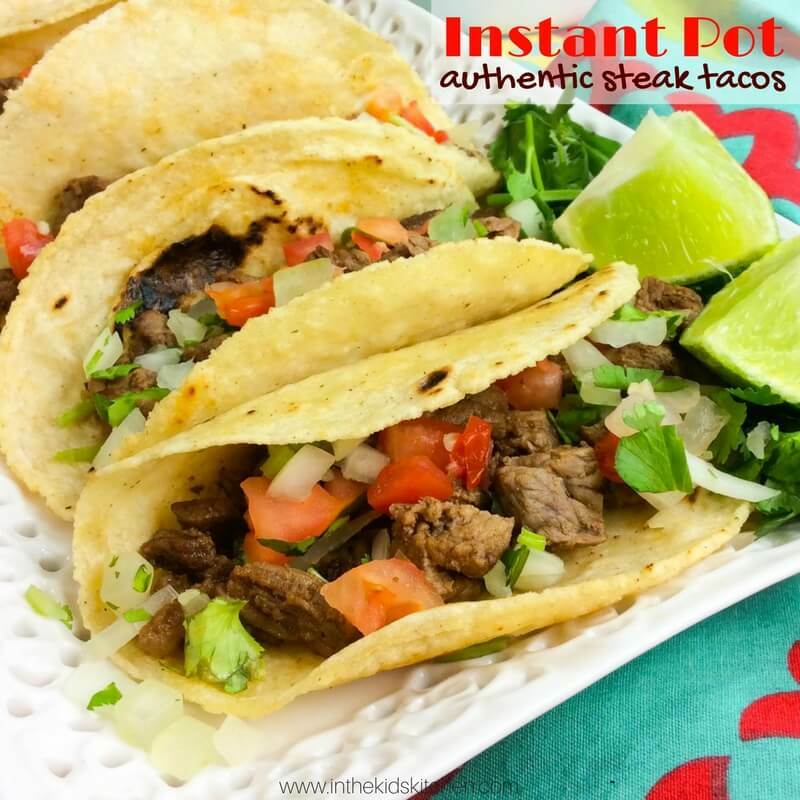 For more favorite family fall meals, check out our Mummy Meatballs recipe or our Instant Pot Carne Asada Tacos recipe.